Arrangement: Morten Augustinius, Jan Sverre Braathen & musicians playing on the track. Norwegian lyrics (2017) and music (2010): Jan S. Braathen. The first recordings were made in the kitchen and bedroom of Jan’s home at the time at St. Hans Haugen, Oslo. 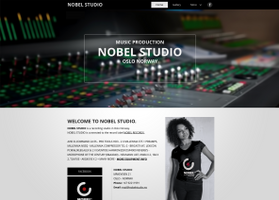 The final recordings as well as overdubs, mixing and mastering were made at Nobel Studio at Ulvøya, Oslo, www.nobelstudio.no.